Watched The Lone Survivor Today!! So it snowed last night, about an inch, which was great news for me because I got to ride inside today! I hope you picked up the sarcasm there? It wasn’t too bad because I only had two hours to ride today. However, my legs were a bit tight while riding which wasn’t the best feeling in the world but it could have been worse. It was my Dads birthday today, so in order to celebrate we watched the Lone Survivor! 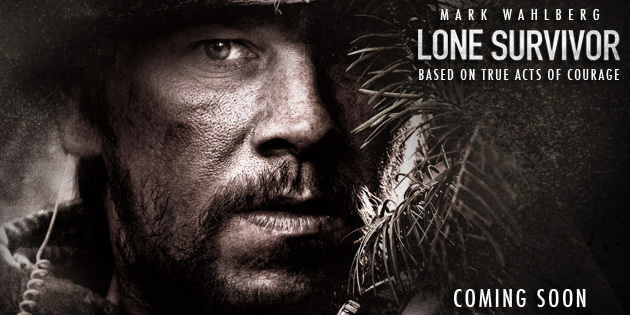 I have to say it is about time that we (society), receive a war movie that lives up to the hype. Act of Valor was kind of a let down, Jar Heads was kinda a let down, but this one was awesome. It was so actioned packed, basically everything a guy needs in a movie. The coolest part though was it was based off of a true story, so a definite must see for any guy looking for a good war flick.